This recipe is for the people who want to know, how to make cake without egg .The easy homemade whole wheat flour chocolate cake with very less effort.Preparation time of this eggless chocolate cake is just 10 minutes max :-) and everybody ask for the recipe after eating it. And they get surprise that it’s a whole wheat flour cake .This recipe I had shared with all my friends and they always appreciate when they make it for somebody. My kids love chocolate cake , chocolate balls ,chocolate pudding and because of that i keep on experimenting on this foods & this is my successful experiment of whole wheat cake without refined flour (maida / all purpose flour) . Deseed the dates and soak it in warm milk for 2-3 hours. 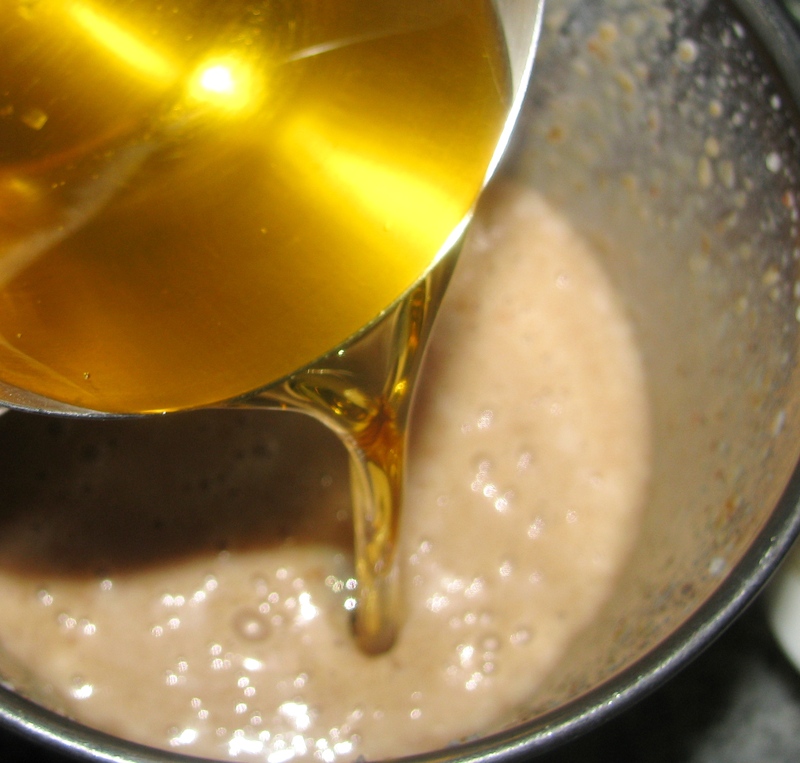 Add oil to it …again grind it in a same jar . 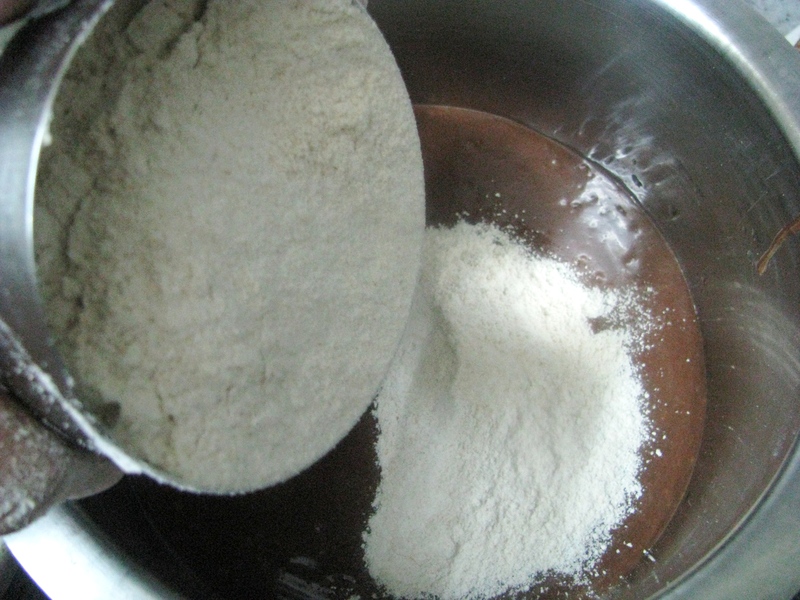 Remove the mixture from jar in a mixing bowl. 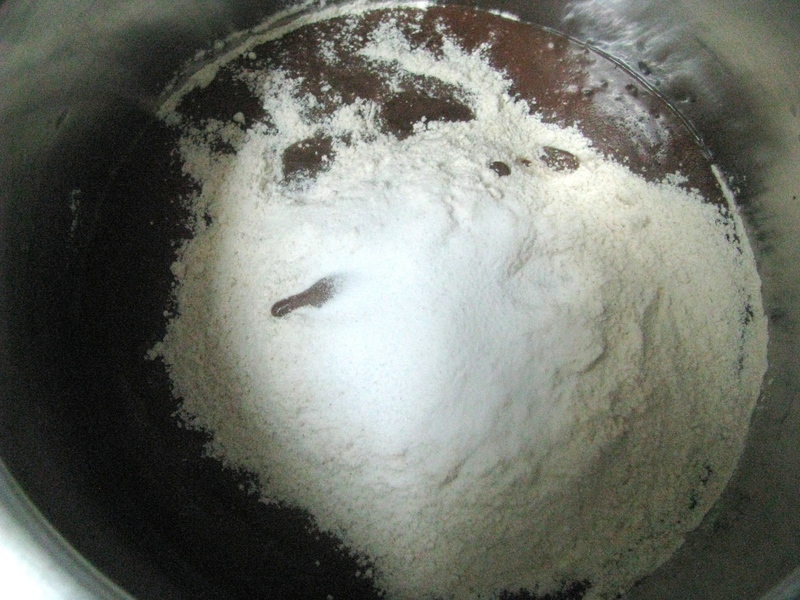 In a same mixing bowl add whole wheat flour & baking soda .mix it well together . 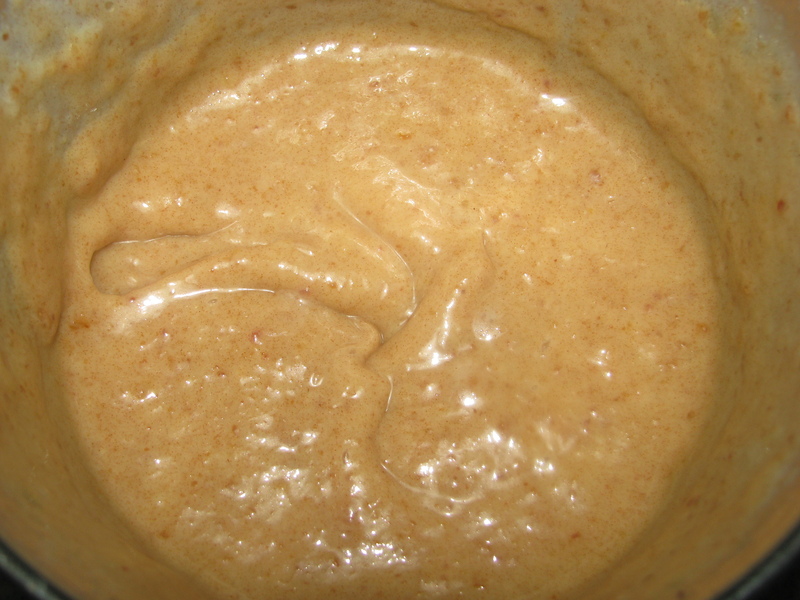 Add chopped walnuts or almond or cashew nut to this mixture. 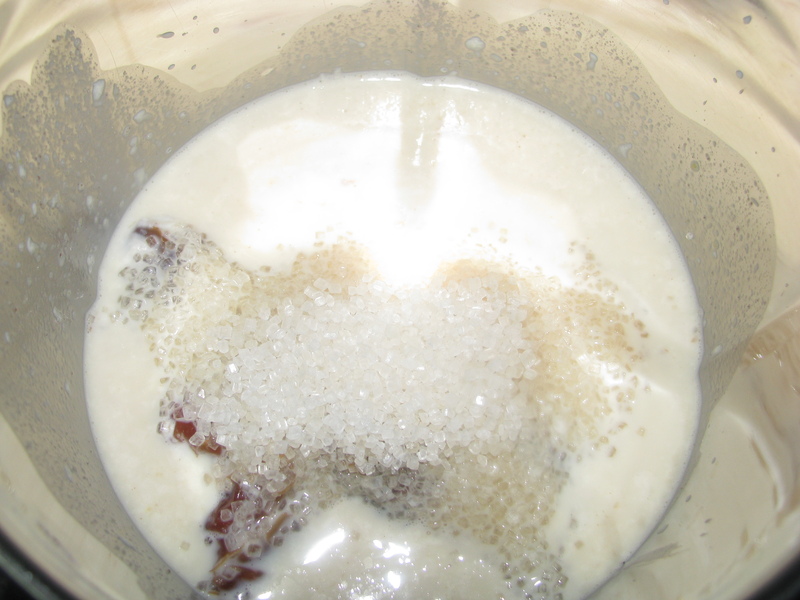 If the consistency of the batter is very thick add little milk and mix it properly. Grease the baking container with ghee. Add the batter in it… Bake it in preheated oven for 30 minutes at 180degree Celsius. Bake it until the needle comes out clean. Take the whole wheat flour fill lightly in the bowl . don’t press it or tap it to make 1 bowl measure. Don’t use any oil which has strong flavor for eg soya bean oil , groundnut oil etc. If you want you can add 1- 2 eggs in this cake after beating them nicely it will make the cake little fluffy. I prefer it without egg! 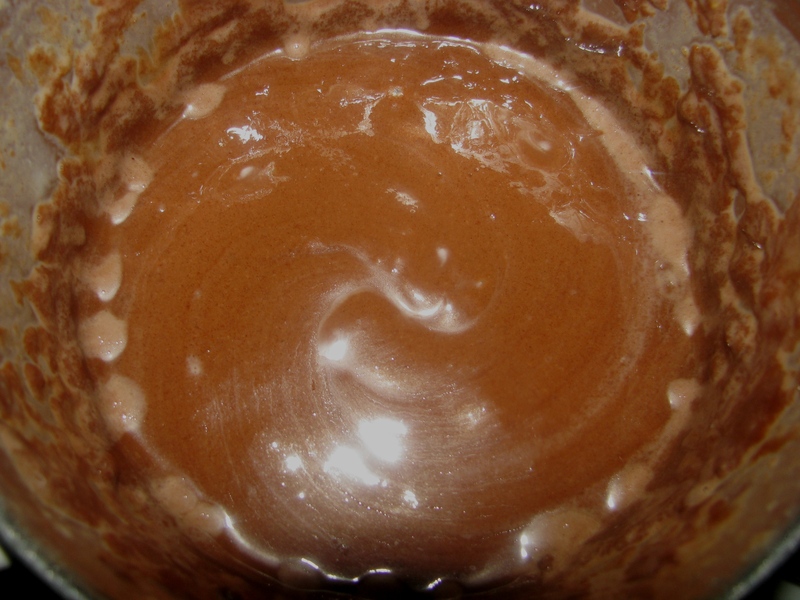 If you don’t like chocolate cake you can avoid adding cocoa powder to it . You can serve this cake with chocolate sauce or butter icing . In place of sugar you can add honey, demera sugar or sugar free natura( if you are diet conscious or diabetic). 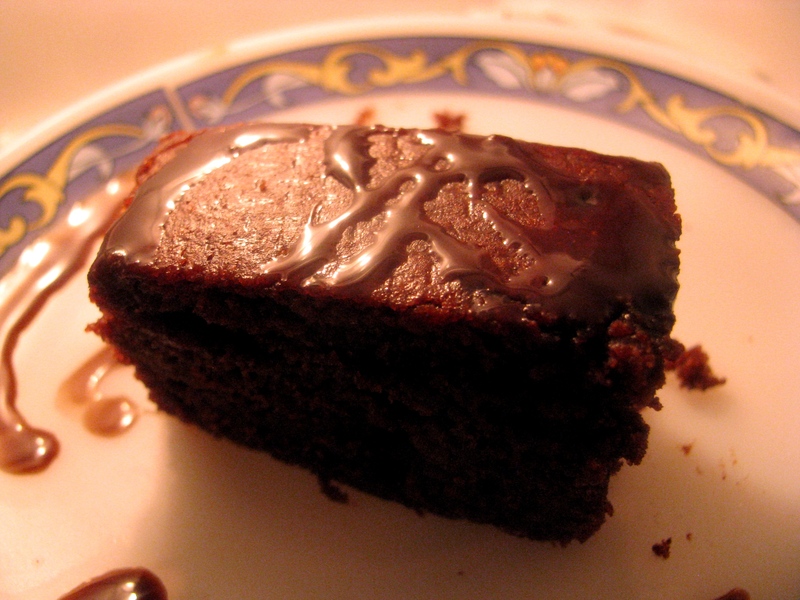 You can use this cake in any chocolate pudding recipe…. I have personally tasted this cake. Aahaa its simply awesome! thanks ruma..u can also check other whole wheat flour cakes . I had made this cake and it becomes very good. My family members also love it because they don’t believe that it is made up of wheat flour only. Thank you for sharing such a lovely & healthy recipe for us. I am glad that you and your family liked the cake! I never tried this cake in microwave . Once I have tried plain cake in microwave and it didn’t turn out well the way it gets baked in OTG or oven. if u have microwave oven with convection or have oven function then u can make this cake . it will take more time as compare to oven or otg. my friend makes this cake on convection mode but it takes around 50-55 minutes . she told me that once the cake gets bake she keep it for grilling function for 10 minutes to make crust ..well i had that cake it was ok ,but the taste u get from baked cake from oven or otg is not possible from microwave oven . Today I tried in microwave in convection mode at 200c for 30min preheated for 10 before…. Can I replace sugar with jagger? If yes then how much? And also if I use 2 eggs then other ingredients remain same or not? I never tried jaggery in this cake…but if u want to ; Jaggery is not as sweet as white sugar, so when substituting jaggery for white sugar use about 1/4 to 1/2 more.u can also use demerara sugar in place of white sugar its a good substitute of jaggery and add it the same as white sugar . if u want to add eggs reduce the quantity of milk while making cake batter. I tried this cake, and it worked wonders even in microwave. Most appreciated thing about this cake is home-made from gehu atta so I know what I am feeding my daughters with and that too eggless is most like-liked thing about this recipe. thanks, looking forward to may be cookies or pastries now…. Can you plz let us know the weight of the cake after baking. Is it close to 500 kg? Weight of this cake is around 1/2 kg. 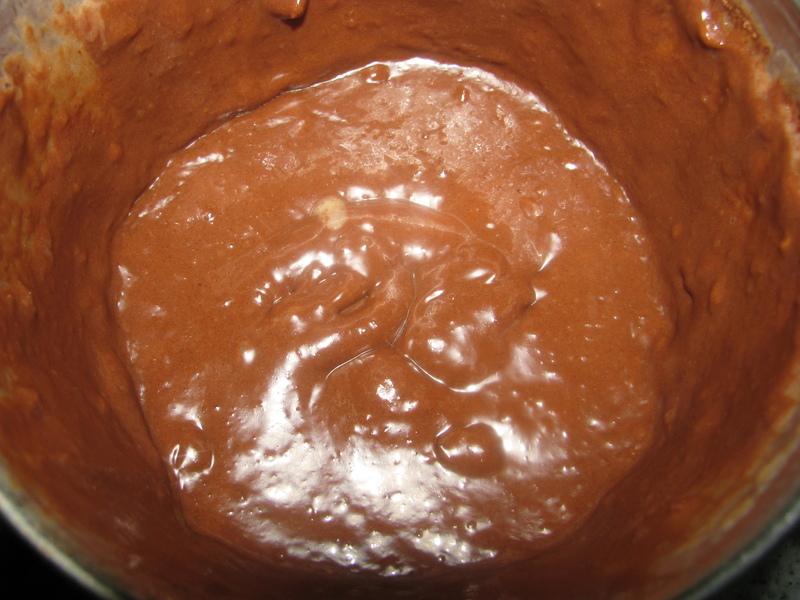 I am trying this recipe in my Otg.Lets c …..But one thing is after mixi ng all the ingredients I licked the left over batter from the mixing bowl and it was so tasty …couldnt stop licking the whole bowl. Hi, I have to try out this receipe yet. One thing, we can use home grind whole wheat atta or any particular brand? You can use Home grind Whole wheat atta to make this cake. I have also used the home grind atta in fact sometimes i add soyabean in my wheat flour still there is no difference in taste of this cake. Hii, thanx a lot. Will try it and surely let u know. Hi, The recipe seems to be awesome but can i make the cake without using dates? This cake recipe can be made with dates only. Can I use a hand mixer to mix the ingredients (fr steps 2,3 &4) ? Instead of the regular mixer which you hav mentioned? 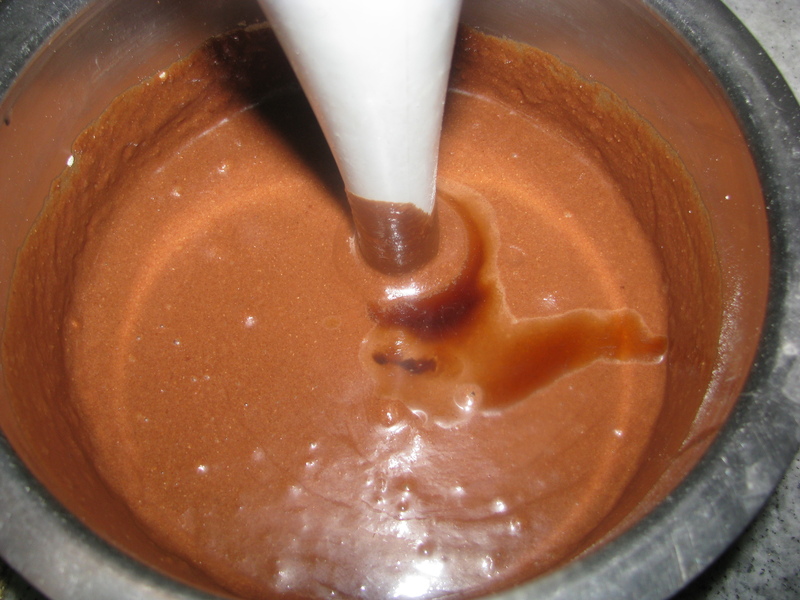 You can use hand mixer, but make sure that dates are soaked nicely or have been softened so it can be easily process to smooth and creamy paste. Ok.. Thanks.. I also realized that mixer vil b better option coz vth a hand mixer, may b, chances of spillage vil b high .. Looking forward to try out this recipe! Thanks again.. Thanks Anusuya, i will try to upload bread recipe soon. 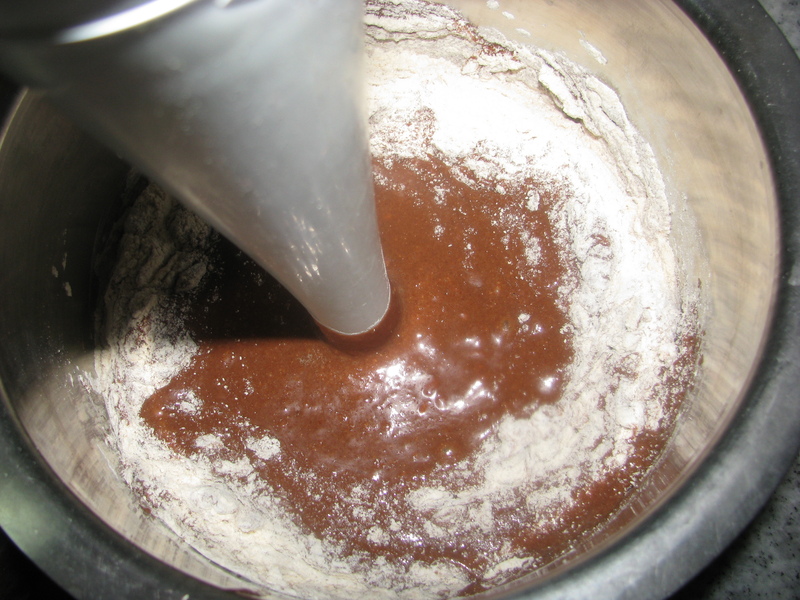 I usually make the cake with multigrain flour and it comes out awesome with the same recipe listed above…. Can we use simple milk instead of date milk? Made this cake for a birthday after reading the reviews. But made the grave mistake of using baking powder instead of baking soda. Came out like a pound cake. Not sure if I will try this recipe again. try it using baking soda ….. i am sure you will like it …. hi jaishree… is this the cake where u said repalce half cup cocoa powder with half cup carrot?????? you can add apricots in place of dates…. hiii, can i use baking powder instead of soda, why have u stressed on soda and is it safe to give to kids? Hi. After reading this receipe tried it and it turned out really awesome.Tried cake for the 1st time and i was successful thanks for your lovely easy receipe. Can I make this whole wheat flour cake on pressure cooker? Plz tell me.. bcz I have no micro oven..
Hi… Am going to try this recipe.. And am new to baking.. Can you clarify how much does one cup mean in terms of grams or ml? 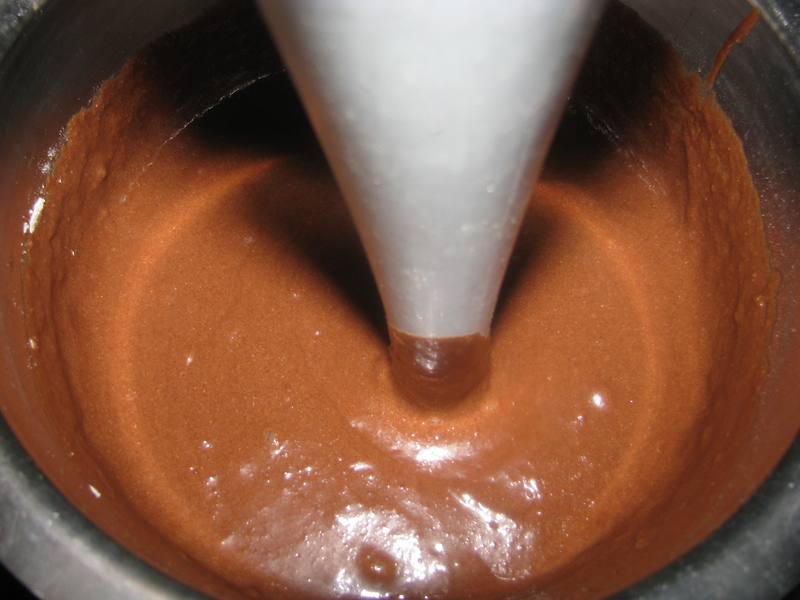 1 cup is around 130-135 gms…..
First of all a very Happy and Fulfilling New Year to you and your family. 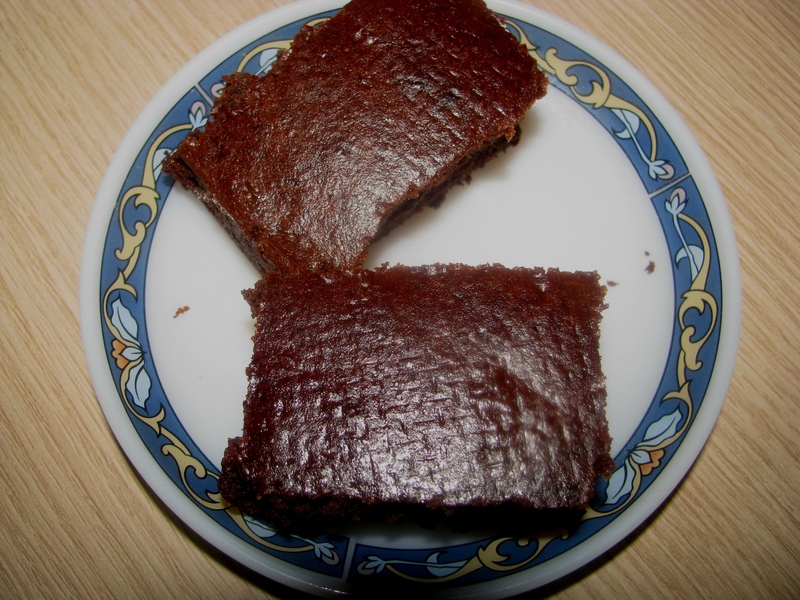 I cant tell you how thankful I am for your recipe of eggless, maidaless dates chocolate cake. I have tried it many times but always without dates(I couldnt get dates handy whenever I tried the cake). I cant tell you the happiness with which my family has been enjoying this. I have tried chocolate nuts cake, carrot cake, banana cake, carrot-banana cake, strawberry cake, all with 100% success and happiness. I thank you profusely for sharing this recipe. In turn I have shared it with my friends and am waiting for their response. Dear Jaishree, Hi. Again I write after an year. Hope you have a fulfilling, peaceful and joyous year ahead. As I mentioned in my earlier comments, I cant tell you how much your recipe has been a success. Of my own I tried a few variations which were also successful. I was looking for recipes of ragi cookies without using wheat flour or sugar or eggs. Can you please advise? I made this cake yesterday and it was superb. Thanks for the recipe. Can we add semolina along with wheat. I’m definitely going to try this very soon. Meanwhile, do you have a page on Facebook?? if we use eggs in this recipe do we require to add baking soda?? adding dates can be removed.? Dear Jaishree, Hi. Hope you all have a peaceful and fulfilling 2018. I am writing after exactly one year. As I have mentioned I am really grateful for you recipes. 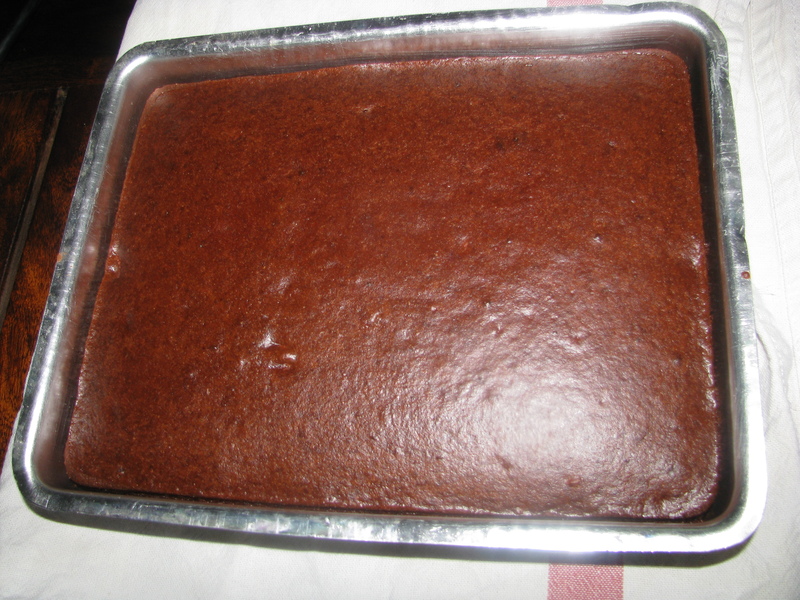 Your eggless maidaless chocolate cake is a superhit in my family and I bake it as often as I can. I have tried a few variations, all of which have been a great success. I was just hoping you could advise on making ragi biscuits without eggs or wheatflour.